A number of similar crude explosive devices have been sent since Monday to former President Barack Obama, Hillary Clinton, other top political figures and CNN's New York offices. A suspicious package was sent to actor-director Robert DeNiro at a building in lower Manhattan's Tribeca neighborhood. The address, 375 Greenwich St., matches that of the Tribeca Film Center. De Niro, the founder of the Tribeca Film Festival, is a vocal critic of President Trump. A package addressed to former Vice President Joe Biden was also intercepted at a postal facility in New Castle, Delaware on Thursday. 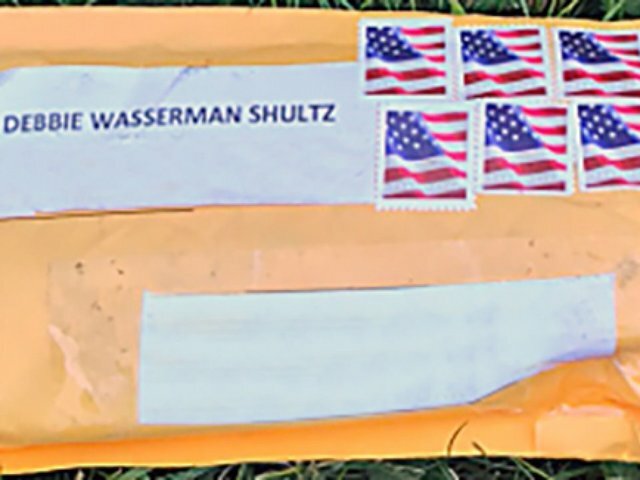 A suspicious package was sent to the Florida office of Democratic Rep. Debbie Wasserman Schultz on Wednesday morning. It was intended for former US Attorney General Eric Holder but had the wrong address. The package was returned to the Democratic congresswoman because that was the return label on the package, two law enforcement sources said. CNN's New York bureau in the Time Warner Center was evacuated shortly after 10 a.m. Wednesday after the discovery of a package containing a bomb, said law enforcement officials, who added that the package was addressed to former CIA Director John Brennan. Brennan has appeared on CNN. A suspicious package intended for California Democratic Rep. Maxine Waters was intercepted at a congressional mail screening facility in Maryland, sources told CNN. A package containing a possible explosive device intended for former President Obama was intercepted by the US Secret Service at a screening facility in Washington. A package containing possible explosive device and intended for Hillary Clinton was intercepted. It was discovered during routine mail screening procedures Tuesday evening, according to authorities.